In 1986, The European Textile industry found itself in a complete shift. It was also the year in which a young Wim De Buck decided to get his hands on two “hotfoil printing machines” for making care labels. Having set up shop in his parents’ garage, he hadn’t the faintest idea of what road he would pave for himself. When his wife Ann joined his effort in 1989, tending to find new customers, a world unfolded, revealing a market which, at first, seemed saturated. In 1996, LINETY opens a department on the French-Belgian border: EUROGRIFFE is born. Its strategy and investments brought it into a rapid, quickly cementing itself as a major player in the world of labels for the mattress, rug, home- decoration and clothing market. 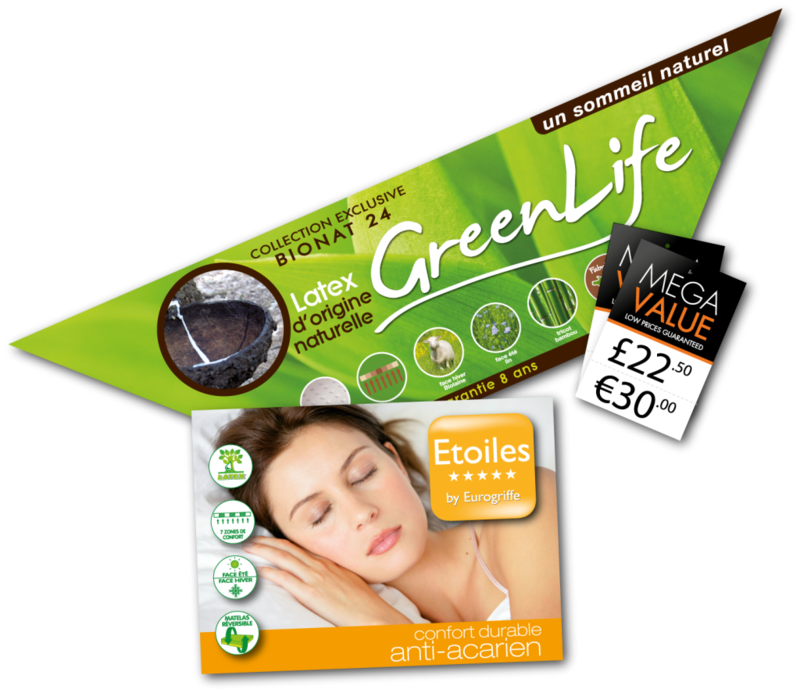 In 1999, EUROGRIFFE makes the definitive decision to devote itself to the digital revolution: Digital printing of variable data combined with in-house developed materials and a complete integrated pre-press department. EUROGRIFFE wins the POD award very soon after. The company’s position has since then become ever stronger in those niche markets. From Chili to Canada, from South-Africa to Russia, from China to Guadeloupe. Clients from around the globe have placed their trust in EUROGRIFFE, and continue to grow together in new areas of textile communication tools.